The holidays are the season of cookies and baking! Making cookies is a fun way to allow kids to participate in holiday preparations and activities. There is also just something inviting and nostalgic about the scent of homemade treats so it is a fun tradition to carry on. 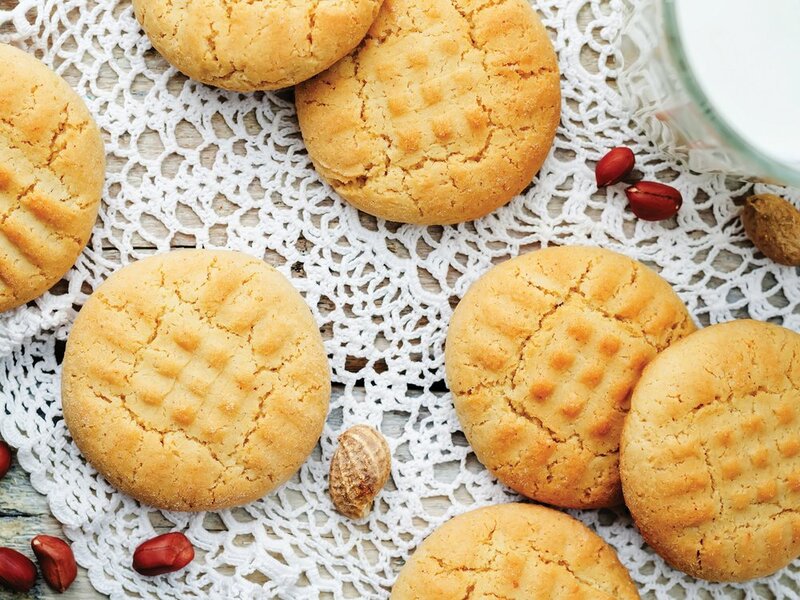 Here are a few cookie recipes sure to brighten your season! For cookies: cream butter; add in sugars and eggs, beating thoroughly. Stir in vanilla and milk. In a large mixing bowl, combine flour, baking powder and salt then add to creamed mixture. Add in more milk if dough is dry. Chill dough until firm. On a lightly floured surface, roll out dough to ⅛ inch thickness and use desired cookie cutters. Place cookies two inches apart on greased baking sheets. Bake at 350° for 10 to 12 minutes. Cool on racks and decorate as desired. Yield: about 5 dozen. For frosting: combine ingredients and beat on high speed for 7 to 10 minutes or until stiff peaks form. Tint with food coloring if desired or add more water if needed. Use a pastry bag for piping designs or spread with a icing spatula. Note: frosting dries quickly so keep covered with plastic wrap. In a large mixing bowl, cream butter and gradually add sugars. Add in eggs and beat thoroughly. Add peanut butter next, then vanilla. Combine flour and soda and blend well. Shaping 1 inch balls, place a couple inches apart on greased or lined baking sheets and gently flatten with a fork, making a criss-cross pattern. Bake at 350° for 10 to 12 minutes and cool on racks. Yield: about 6 dozen. Preheat oven to 325° and line baking sheets with parchment paper. Combine flour, baking soda and salt in a bowl and set aside. Using an electric mixer, beat the butter, sugar and brown sugar until smooth and fluffy (4-5 minutes). Beat in the eggs until just combined. Add in the vanilla extract. With mixer on low, beat in the dry ingredients until combined. Finally, add in the chocolate chips. Scoop or drop 1 inch balls of dough onto the baking sheet, leaving some space between. Sprinkle each ball of dough with kosher salt. Bake 12 to 15 minutes, until slightly golden. Enjoy! Yield: 2 dozen. Combine flour, salt, soda, cinnamon and ginger and set aside. Cream butter and gradually add sugar and honey, beating until fluffy. Add eggs and stir in sour cream, blending well. Blend with dry ingredients then stir in oats and dates. Drop teaspoonfuls of dough onto baking sheets lined with parchment paper, a couple inches apart. Bake at 375° for 10 to 12 minutes. Let rest on sheets a few minutes before transferring to racks to cool fully. Yield: 4 dozen.